Mature workers – those aged 55 and over – are expected to play an increasingly key role in the economy as the number of young people entering the workforce falls. As a mature worker, how can you make the most of the opportunities available to you? By international standards New Zealand’s mature employment rates are high, and only getting higher. Our population is ageing, and people are staying in the workforce for longer than they did in previous generations. This combination means that an increasingly large percentage of New Zealand's labour market is over 55. According to Statistics New Zealand, people over the age of 55 made up about 14.4 percent of the working population in 2003. At the same time, the number of people approaching the "entry ages" for the labour market is declining quickly. Between 2013 and 2023, the number of New Zealanders aged between 15 and 19 is expected to shrink by around 28,000. That means that mature workers are set to play an increasingly important role in the future of the New Zealand labour market. As New Zealand's population ages and the number of young workers entering the labour market declines, mature workers are increasingly crucial to filling jobs in areas of skill shortage. Mature workers have a lot to offer an employer besides a wide range of workplace experience. A recent survey of over 500 employers found that most viewed older workers as an "untapped treasure" and agreed that businesses should take extra steps to attract and retain them. A perceived lack of transferable skills. Mature workers may have accumulated knowledge over the course of their careers that may seem specific to one particular occupation or industry, or that may not easily translate easily to another field. Inability or unwillingness to compromise on salaries. Because of their skills and experience, older works are often used to earning above average wages. Mature workers who find themselves out of work are more likely to remain unemployed, rather than accepting jobs that offer lower pay. Hours. Many mature workers also want to work part-time hours, which can limit the opportunities available to them. Age-based discrimination. While it’s illegal to discriminate on the basis of age when it comes to employing staff, it’s likely that this does happen, even if it’s not acknowledged. There are a variety of factors as to why this occurs, but in the end it can mean that mature workers have a hard time finding employment. While mature workers may have some skills that are specific to one job, they're also likely to have lots of skills and attributes that are valuable in a variety of other workplaces. A key step when looking for work is to create a marketable identity – a personal brand that makes you stand out from the crowd, which you can use to sell yourself to potential employers. Your marketable identity is about the total package that you have to offer. This includes things like your skills, knowledge and positive attitude. For mature workers it could also include things like your willingness to share your expertise, or to mentor younger workers in an organisation. Take some time to work out what your marketable identity might look like, and think about how it could apply to areas of work that you're interested in. You might also consider how you could promote your employability in a CV or job interview. being inflexible in working style or working schedules. If you can, it pays to be flexible about the type of work you're willing to do, the hours you're willing to work, and the salary or remuneration that you're willing to accept. If you're open to negotiation on these points you're much more likely to be able to make the most of the opportunities available. At times the labour market can be as much about "who you know" as "what you know". This can be especially true for mature workers, whose years in the labour market often result in a wide network of work contacts. When you're looking for work it pays to talk to everyone you know, including family, friends, and previous employers and colleagues. Think of these people as your network of job hunters – between them they will have access to a far wider range of people and potential job leads than you could possibly access yourself. Education as a way of updating employment skills is a lifelong process. 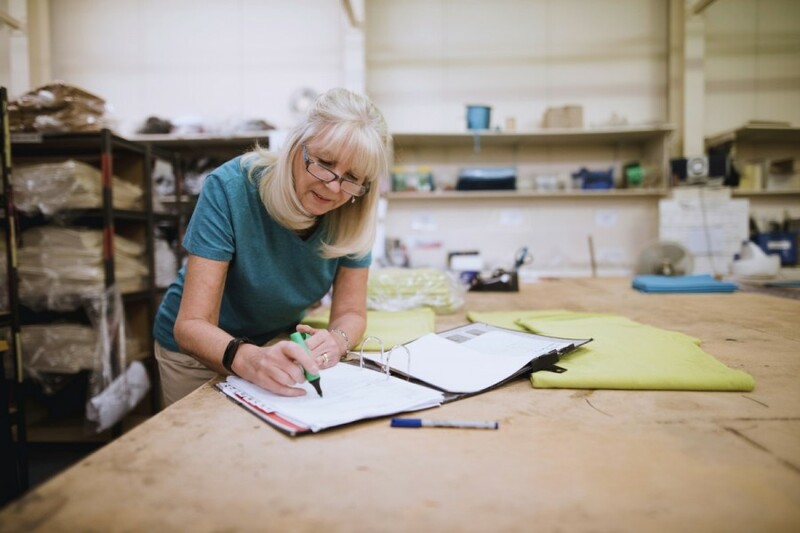 However research suggests that older people who find themselves out of work tend to prefer the idea of immediate employment over retraining, even if that employment will result in lower pay than they may be used to. Whether or not to retrain is a personal choice – it can be expensive and time-consuming. However if you do retrain it can improve your job prospects by signalling to employers that you're motivated and that your skills are up to date. Retraining in an area of skill shortage can also significantly improve your job opportunities. Parker T, 'Over 50? Why Employers Don't Want You', 22 July 2018, (www.nzherald.co.nz). Sneyd, R, 'An Opportunity Not To Be Missed: Older Workers', HRM Online, 19 November 2012, (www.hrmonline.co.nz).